Apple Cider Mimosas are deliciously refreshing with bits of apple and cinnamon in every sip. 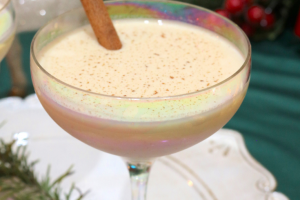 Perfect for brunch on Thanksgiving or afternoon cocktails at Christmas. Mimosas are in! They have been gaining a lot of popularity lately and you know what?… I’m quite ok with it! I know what you’re thinking, another mimosa recipe already? But really Christmas mimosas just sound fabulous and the holidays aren’t complete without a little apple cider. I’ll admit, I’ve never really drink just apple cider, but I am a big fan of apple juice. But seeing how it’s only out for a few months in our grocery stores, I can understand why. I really enjoyed just drinking it by itself, but isn’t almost everything better with some alcohol? Apple cider mimosas are perfect for pairing one of your favorite brunch drinks with a refreshing fall taste. Add some cinamon sugar around the rim and it literally becomes fall in a cup. Can we rename this drink to that? You know the best part about being a blogger and making this recipe? It’s that I get to drink all 3 as a reward 😛 That’s right, I had no entourage for this drink, but you’ll have to trust me when I say, it’s delicious and so easy to make this Christmas party drink! 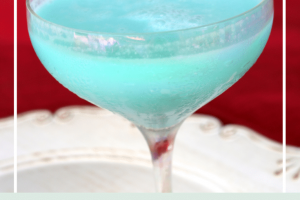 There’s only 2 ingredients to this drink and if you want the garnish which I highly recommend that brings you up to the nice round number of 3 to make this holiday drink. Just dip the rim of the glass in lemon juice and then in cinnamon sugar. Pour 2-3 oz of champagne in the glass and add 4-6 oz of apple cider depending on your level of desired alcohol. Garnish with apple slice or cinnamon stick. 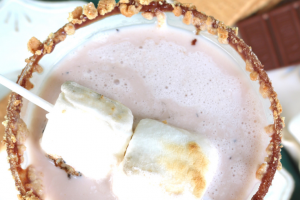 Perfect party drink for Thanksgiving, Christmas or any holiday party in between! It's fall in a cup y'all! Delicious, refreshing apple cider mixed with champagne. Add cinnamon sugar to the rum and garnish with an apple for a perfect fall beverage. Dip rim of glass into lemon juice and then immediately in the a small shallow bowl of cinnamon sugar. Pour 3 oz of champagne into the glass. Add 5 oz of apple cider. I used a little lemon juice around the rim and then dipped the rim of the glass into cinnamon sugar. Garnish with apple slice or cinnamon stick.